Village Shores Senior Community offers those 55+ a wonderful residence in the heart of Richfield, MN (with easy access to 35W, 494, and 62). We are located in one of the most convenient communities available for our residents and their families. 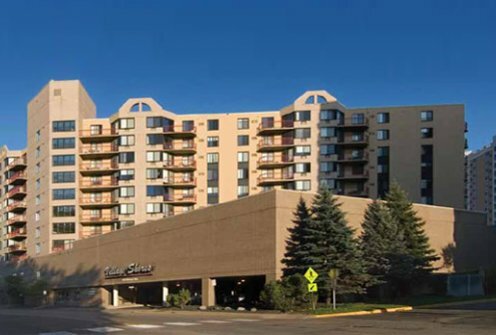 Our apartments stand eight stories above Richfield's Market Plaza shopping center. Along with a sweeping view of Richfield, residents are just an elevator ride away from a restaurant and a variety of other retail services. It's an innovative community, offering senior apartments and assisted living.